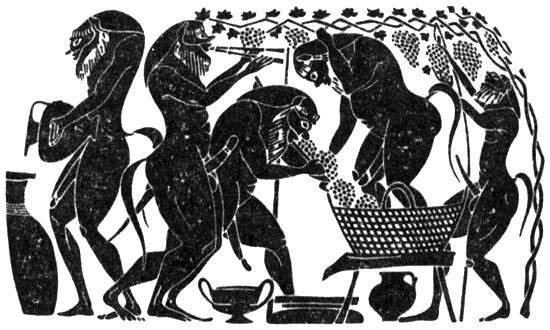 Silenuses, squeezing out grape juice to the sound of aulos. (from attic black-figure amphora of Amasis Painter, ca. 530 BCE).